We had a fun Memorial Day. 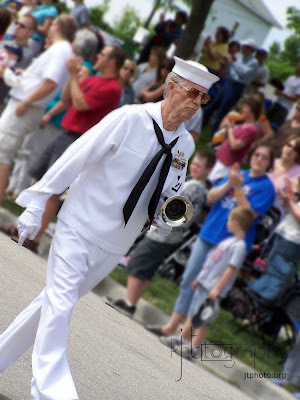 We went to the Menomonee Falls parade this morning. 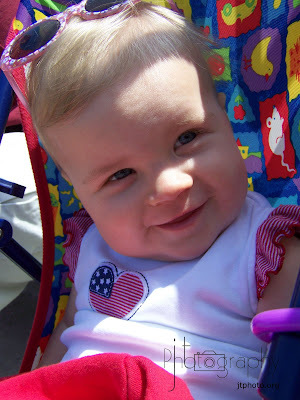 Naomi did a great job at the parade...she even watched what was going on in front of her. 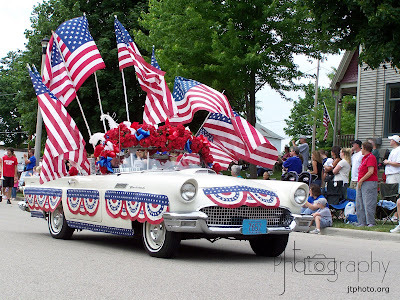 We saw everything you should see at a Memorial Day parade, flags, bands, tractors, horses, old cars, waving people, dogs, veterans, fire engines, and clowns. We got lots of candy and cookies and had a great time watching the people go by. But my question is, who created the idea of a parade. If you break it down it just seems a little silly. Just a thought. 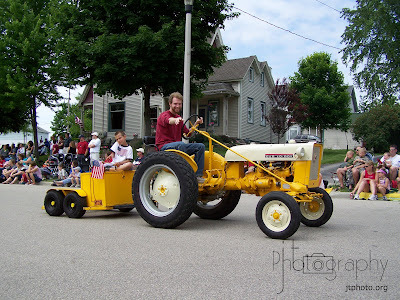 Our friend Will, who is the Vicar at Grace got to drive one of the tractors for Grace. We had a little bbq at home with Will and Ana, my parents, Tracey and Brad. 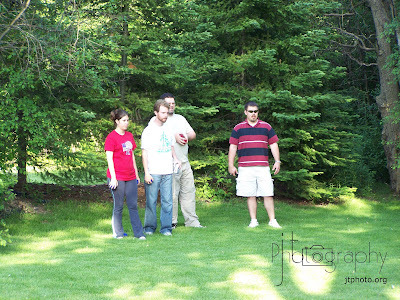 It was fun to eat good food, have good conversation and play a little bocee ball. 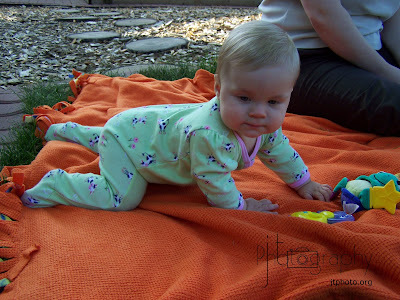 Naomi enjoyed playing outside and trying her hand at crawling again!